‘Linklaters garden for Maggies’ was an example of how Maggie’s Centres provide inspired spaces for people living with cancer. 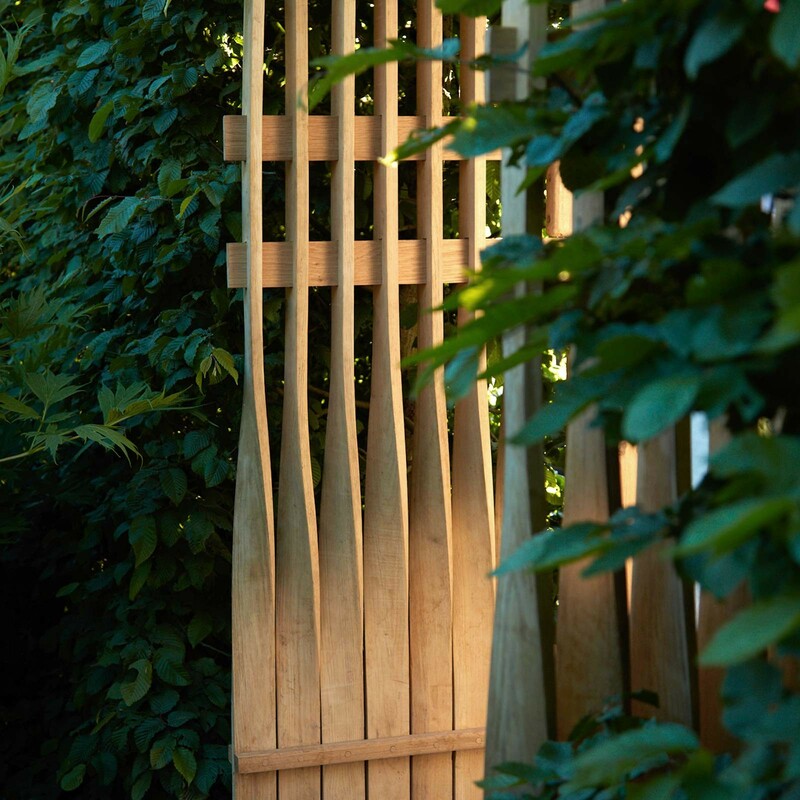 A 3.2m hedge enveloped the garden space creating a hidden sanctuary with the public invited in to the garden via a raised pathway at the back of the plot, a first at Chelsea, offering a new perspective and a chance to experience the garden away from the hustle and bustle of the show. 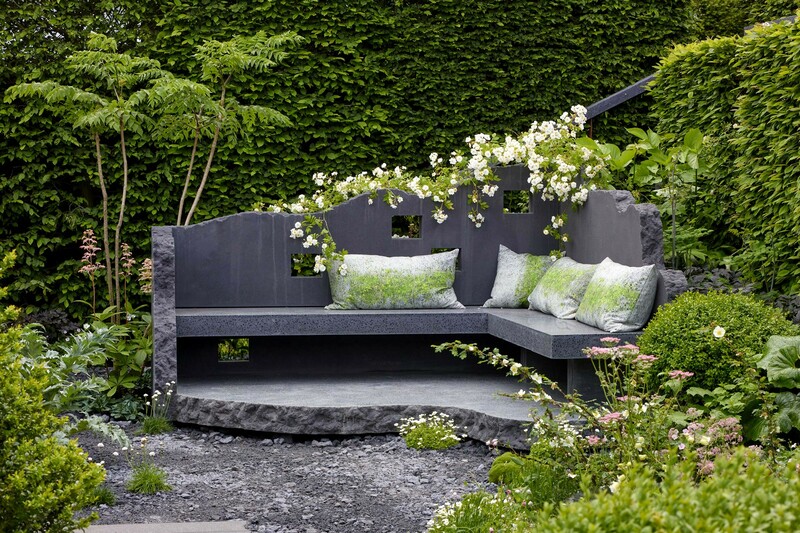 Soft, subtle planting in muted pinks and grey/greens created a calm atmosphere. 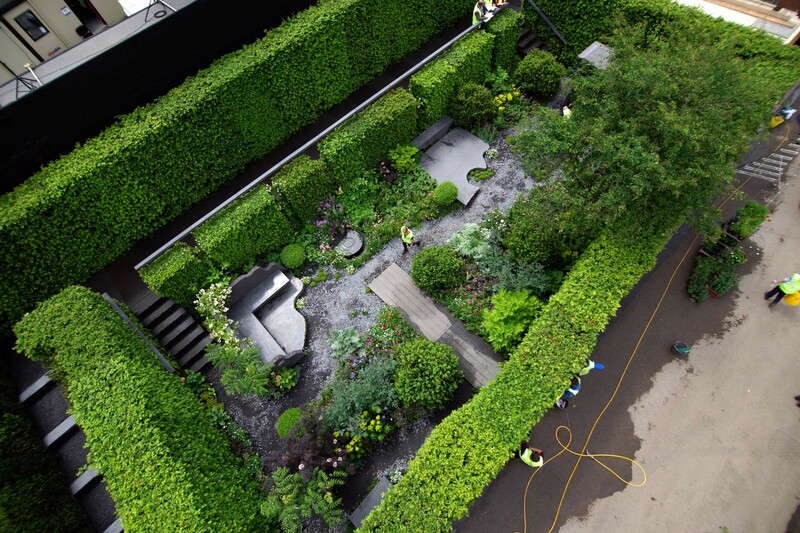 The hard landscaping, was designed to be a metaphor for a life blown apart by a cancer diagnosis. 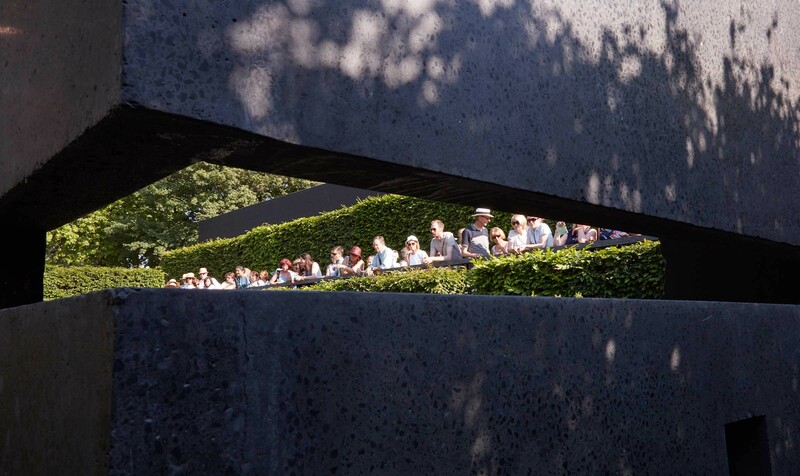 A single cube of concrete was pulled apart to create two garden buildings and all the internal material was used for creating the water feature, benches and pathways, like a Chinese puzzle this could be put back together again offering hope and inspiration to those who used the garden.